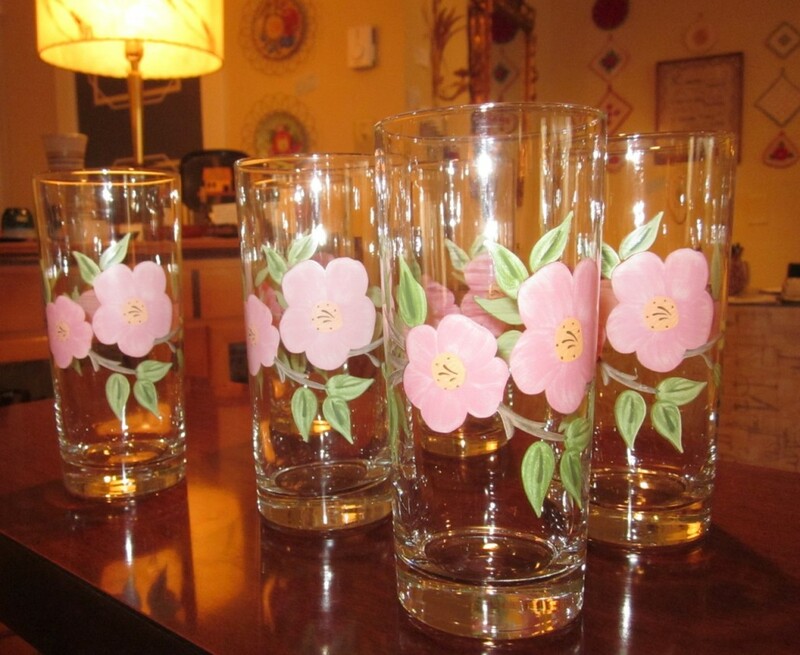 I love these six glasses in the “Desert Rose” pattern! I found out this morning that this pattern in dishes was first manufactured in the early 1940s. It turns out this is the best-selling American dinnerware pattern in history! It is still being produced. The pattern was modelled after the Rosa Rugosa. 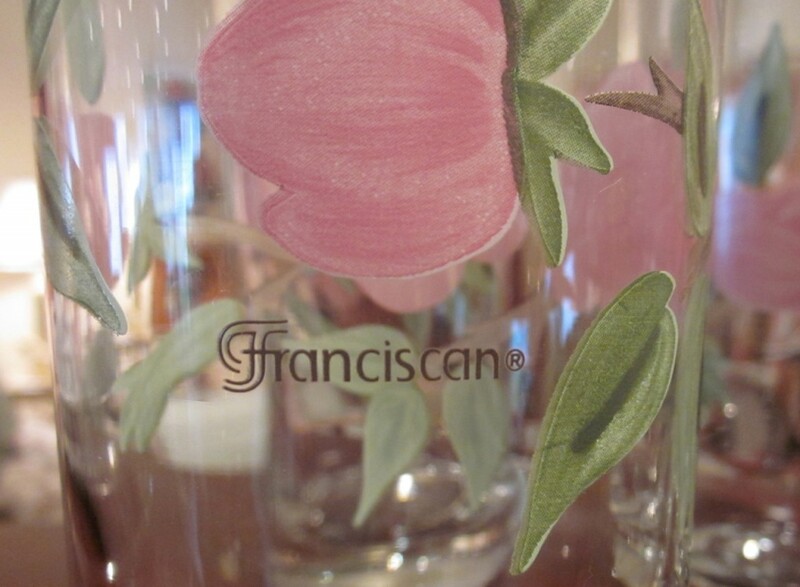 Franciscan Ware was produced in California (hence the name). The pattern was named “Desert Rose” to give it a California feel even though rugosa are not native to California. These six glasses would be very pretty on any summer table! This entry was posted in What's fascinating us….